Amazon is cracking down on USB-C cables sold on its website that do not meet the standard specifications laid out by USB Implementers Forum Inc. These cables could potentially damage your devices. USB-C is currently being used by various smartphones like the Nexus 5X, Nexus 6P and OnePlus 2. To use Android Auto on a compatible head unit or car dashboard, the latest Nexus phone owners require a USB-C cable. The Nexus 6P comes with a USB-C to USB Type A cable but the Nexus 5X doesn't. For those users, purchasing a third-party cable is the best bet. 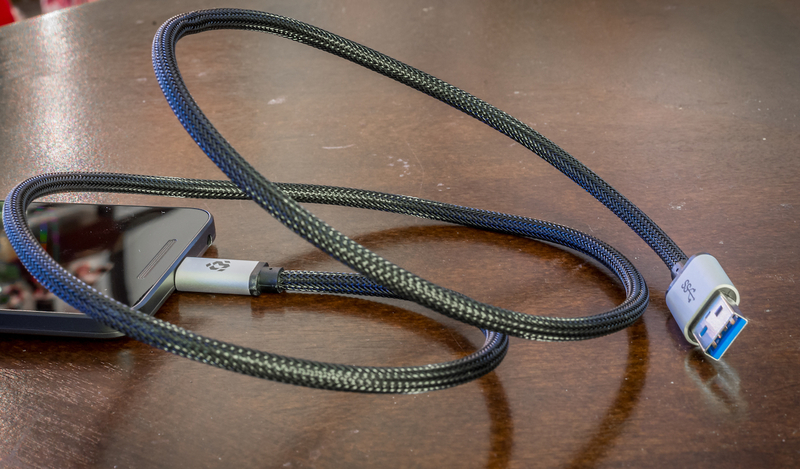 I recently wrote about the Qube Gadget USB-C to USB Type A cable, which is a reliable option (pictured above). This cable is available for sale on Amazon, which means it has been deemed to meet the required specifications. No matter which cable you choose, it is advisable to buy it from Amazon. Now that the retail giant is ensuring only the correctly manufactured cables are allowed to be sold through them, it is your safest bet to shop on Amazon.